There's some vegetation in need of a trim if you pop over to the North American Club Nintendo page right now. 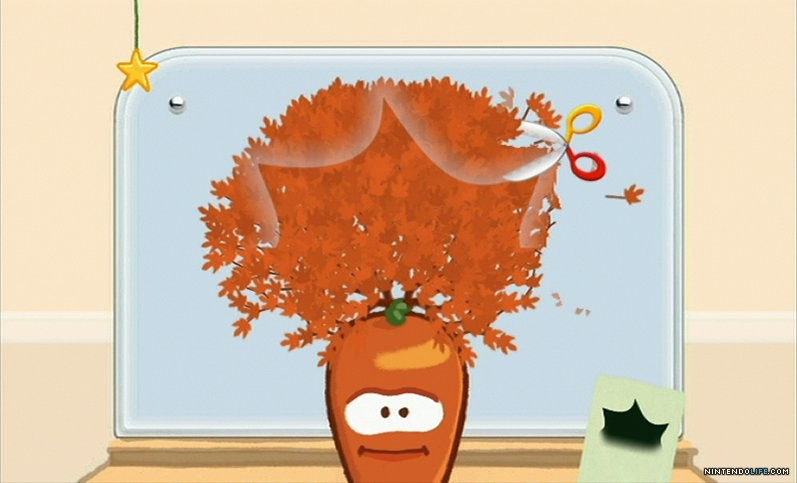 Bonsai Barber is the latest reward in the program, listed for just 150 coins. Zoonami's bizarre WiiWare barber simulator takes Mario Tennis' spot and will be available until 5th August. Read our Bonsai Barber review if you're not sure if it's your style. Don't forget that DSiWare's Starship Defense is also still up for grabs. It's 150 coins too and will be shooting out of orbit on 29th July. Our Starship Defense review might persuade you to get on board. Thanks to Knuckles and Ken for the tip. Are either of these two rewards of interest to you? This was a great game. I got it when it first launched. You get a lot of content. I believe it was from one of the original programmers form the N64 Golden Eye. If you don't have it, check it out. I hope people actually give this one a chance. At first glance it may seem like shovelware but it really isn't! Its one of my favorite WiiWare games by far! I bought this when it was first released. It may not look like much in screens, but it is quite fun. I agree with many others on the board. This may not look like anything special but the cute characters, the variety of collectibles and the variety of stlyes to cut as well as the various problems you can encounter, all make it very enjoyable to play. This isn't my type of game, but I'm not gonna be obnoxious like the people about Starship Defense (which I still recommend because it's a great game) and refer to it as shovelware. At the very least, it got some positive reviews. I might get this, I might want to save my coins for something else though. Starship Defense is a lot of fun and I'm glad they put that one up because the reviews made it look good but I couldn't justify the price. Bansai Barber just doesn't seem like it has enough content for me to spend 150 coins. So far I've gotten Pictobits, MvDK MMA, Starship Defense, Fluidity, Majora's Mask, and You, Me, and the Cubes. I've definitely spent a fair share of coins and I'm down to the last few hundreds. So I'm just going to have to bet on a better game coming next week since we've had so many good ones so far. "Picked" this up the day they announced it on Club Nintendo. It was on the bottom of my Wiiware list for ages. I new it would be quality because it was from Nintendo and Zoonami (i.e. "Dude from Goldeneye"!). It is cute and it is fun, and it is a quality title. @Kirk He did a good job! This is the first Club Nintendo title I've taken since Excitebike WR and You, Me, and the Cubes. Fun stuff!